I attended a destination wedding recently where the gorgeous couple asked all of their guests in advance not to share any of the wedding day images on social media…..Can I just say, as a wedding journalist, this nearly induced heart failure. LOL! Seriously. The urge not to post on social media was immense! The couple respectfully wanted to be able vet their photos personally. But more importantly, wanted to share the ‘first look’ of their wedding from the official photographer in their own time, in person and not on social media, with friends and family who couldn’t make the day. Today we are joined by Nu Bride Ambassador and leading photographer, John Nassari, who fully supports and believes that unplugged weddings, are a photographers dream! In the age of social media, where everything is instant and visual proof of any event ever occurring, is mandatory, unplugged weddings are definitely going against the grain. Some couples love having their weddings plastered on social media are wholly embracing the society we are in, by using social apps to encourage the live showcasing of the event using specially curated wedding day social media hashtags, (#Rebecca&Jay2015), integrating apps like Ever Snap or linking to live social media feeds like Social Playground. So guests can enjoy seeing each others pictures there and then. But how does our social media obsession really impact how we and our guests experience our wedding day? Do we want everything on show to all and sundry, or should we have an element of privacy and revert back to the good old days where images were shared over a gathering in person with friends and family. Would you mind if hundreds of un-vetted unprofessional images of your wedding unfolded on Facebook, Twitter and Instagram , showing up on friends-of-friends and strangers timelines before you have even had a chance to finish saying ‘I do’ ? Would you mind if guests were being anti-social and getting their ‘Facebook on’ in the middle of your dinner or speeches? Do you want your guests to watch your wedding ceremony through their eyes or through the viewfinder of their iphone? I remember during a Beyoncé concert where a fan was in the front row and Beyoncé was right there ‘looking him in the face’ singing to him and he was watching her through his iphone. She was perplexed by this too and asked told him to put his phone down to just be ‘present’ and seize the moment. To experience the concert with all your senses, right there, with her and not through a screen. Everyone loves a wedding (OK, not everyone, but most people) and enjoys deconstructing the event through sharing of images. Everyone wants to ‘see the dress.’ Does putting a cap on photographing and sharing via social media stifle the wedding buzz and prevent us from being present? Or does it create moments that are much more sacred and treasured? Have you joined the social media bandwagon and created your very own wedding hashtag? Over to you John! Hit it! In our society there is so much interest in documenting. We all have access to camera’s, so essentially ‘everybody is a photographer’…. let me paint a picture: It was recently reported in the first 80 years of photography there were 3 million images produced, last year alone (2014) there were 880 billion images produced in just one year! 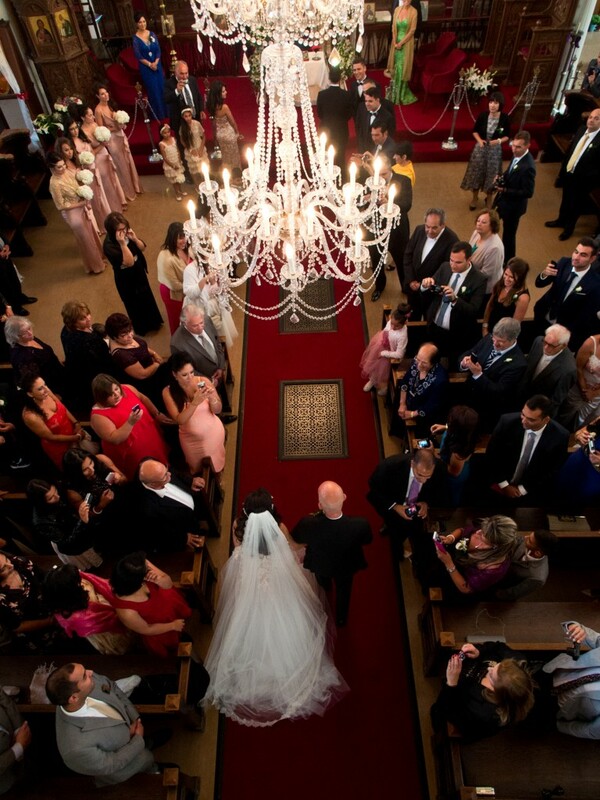 Unplugged weddings allow your photographer to do their job to the best of their ability. If you are commissioning a professional photographer, allow them to work their magic. Guests can and do inadvertently impede important moments with, ipads, cameras’, mobile phones or body parts, at pivotal moments. For me, the most important moment is the ceremony. I have no second chance to get the bride walking down the aisle, or the first kiss. I don’t want to go back to a couple and say, ‘so sorry I didn’t get that shot, Uncle Bob was in my way’! And to then have to show them an image of ‘Uncle Bob’s’ back in my shot as proof. I think there is great benefit in couples taking a leaf out of the celebrities book and to encourage guests attending their wedding to leave their camera’s at home. To enjoy the wedding and allow the hired photographer to document the day. This is highly favourable to the majority of celebrity or high-profile couples, as this avoids intimate images being leaked without their consent and they also want their guests to simply enjoy just being present. Unplugged weddings for me, would be an absolute dream…. No more well-meaning guests like ‘Uncle Bob’ jumping into my line of shot (Nu Bride: LOL!). No more cameras coming into the aisle of the ceremony exit. No more enthusiasts blocking my view on the confetti shot. I can be left to get on with my job, doing it well and uninterrupted. Having an unplugged wedding can have a great benefit for couples and guests too, not just the photographer. 1) They can relax and know that their guests are enjoying the wedding directly, rather than mediating it through the lens. 2) They can be assured that only the official team will present the images, firstly for client approval. Which will prevent images being published on social media on the day, well before they have even said their vows. 3) The couple can have full control over where, what and when images are published. I am always baffled why couples do not insist on unplugged weddings as standard practice. I do like the sound of unplugged weddings, especially in a growing society where so many of us find it so difficult to be in the ‘present moment’, to communicate, interact and enjoy events in real-time without our heads in our electronic devices. I will be attending my brothers this summer and I adore the idea of simply being there and not viewing the day through my 4″ view finder. So I will make it my mission to try! There are arguments for and against unplugged weddings. As a guest, I am definitely more mindful now, of not being a camera Ninja when I attend weddings and make sure I take any images ‘behind’ or after the wedding photographer. I have ALWAYS loved to just sit and watch the ceremony without a camera, to enjoy witnessing the anticipation, the giddy excitement, the honesty, the raw love, the excitement, the awkwardness and nerves from the couples, that is my favourite part. My views on sharing on social media? As a bride, I didn’t mind seeing images of my wedding unfold on Facebook less than 12 hours after we got married. It was nice to see them and to get a peek ahead of the official images. Some of my friends HATED not being able to vet guest images before they were posted online and asked them to remove them. Seeing the wedding from your guests perspective can also tell a slightly different story….I remember my Dad and I somehow managed to miss our allotted ‘slot’ for our father daughter dance. But we finally managed to grab a short moment together and we had a little dance right before the end of the night, when our photographers had long gone. But my brother was right there and captured that shot. I loved it and it sits in a frame. Of course your photographers can’t be everywhere at once, but that doesn’t mean they won’t capture some pretty epic moments. Trust that they will capture the true essence of your day, especially key moments, allow them to work their magic and consider what type of overall experience you want your guests to have. 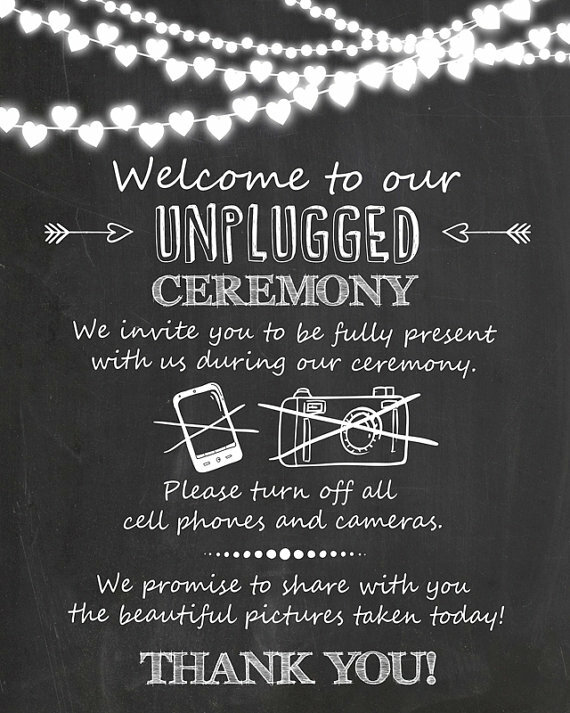 Consider if you just want an unplugged ceremony, but don’t mind images being taken thereafter? Consider if you don’t mind your guests taking pictures, but want a strict social media ban, so you share the images when and where you want. If this is your preference, articulate this in your invites to manage expectation from the offset and again in your order of the day / service! 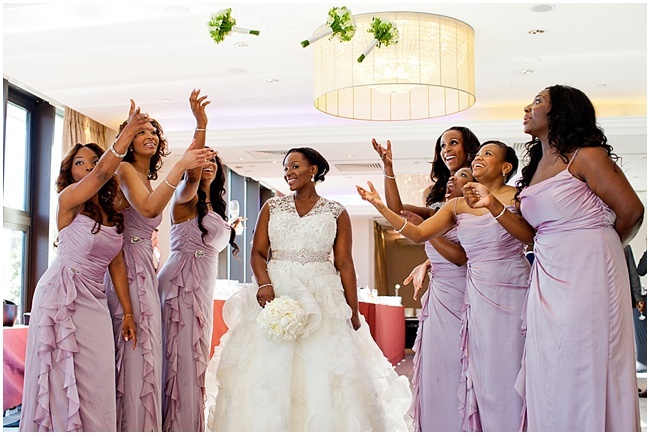 Unplugged Weddings – Yey or Ney? Join our debate! I’m in the middle! Love this post Nova. 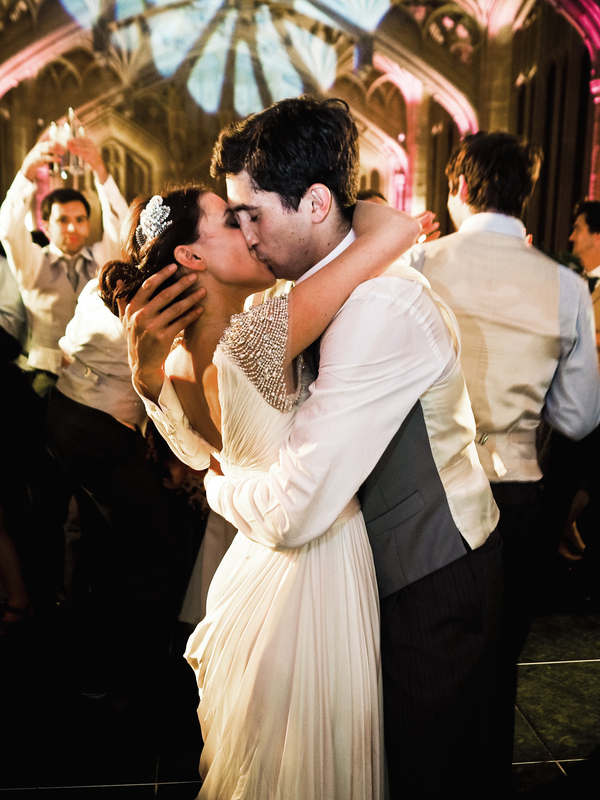 I wrote about the same topic a little while back from a wedding celebrant’s point of view. And I totally have the back of photographers, too, having seen so many of my photographer friends exasperated by not being able to get shots because of all the guests getting in the way. Whenever I have a wedding, I ask people to switch off their phones and invite them to be present and engaged with the ceremony because the couple have spent a lot of time crafting and shaping it and it deserves their attention! I also draw their attention to the fact that the couple have an official photographer, so they can relax and simply be wedding guests!!! It’s a real bug bear of mine! How did we get like this? Unable to leave our phones alone for thirty minutes! Hi Natasha, Thanks so much for your great comment. It’s amazing how are instinct behaviour is completely changing in an age of social media and gadgets. It’s fascinating how ‘connected’ – and disconnected we are at the same time! This is a topic that is completely split down the middle! I love the idea of being present, but I also love the idea of having a few images of my own to reminisce on the way back home! i have been really struggling with this issue. I don’t want people taking pics during the wedding & posting to social media. I honestly didnt think of it until a friend of mine asked what our hashtag will be. ?! caused me instant stress. If I wanted people to have a play by play on social media i would just live stream it. What’s the point of spending so much time on the guest list to just have everyone posting to social media and updating the whole world? 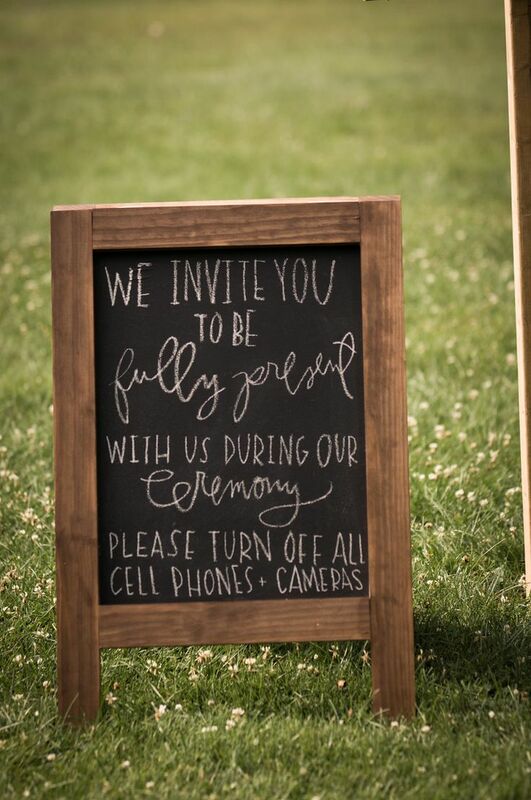 i dont want our guests to think we are being bossy but i think we will put up a sign asking guests to not take photos during the ceremony & post to social media. i hope they are respectful of this request. Hi Heather, I went to an unplugged wedding before and I honestly didn’t feel like the couple were being rude or bossy at all. It was all in their pre- wedding communication. In the save the dates and then again in the wedding invitations with a short note kindly asking guests not to share images of their wedding on social media / take photos. Some couples also opt to put a sign just outside the ceremony as well as having a verbal message from your wedding officiant. Most guests will respect this and you should not feel that you would have to police this on your day. If it’s something you want to do, do it. 🙂 It’s all in communication upfront and reinforcing with signs or via your wedding venue on the day. Good luck and let me know how you get on!